Afternoon folks! 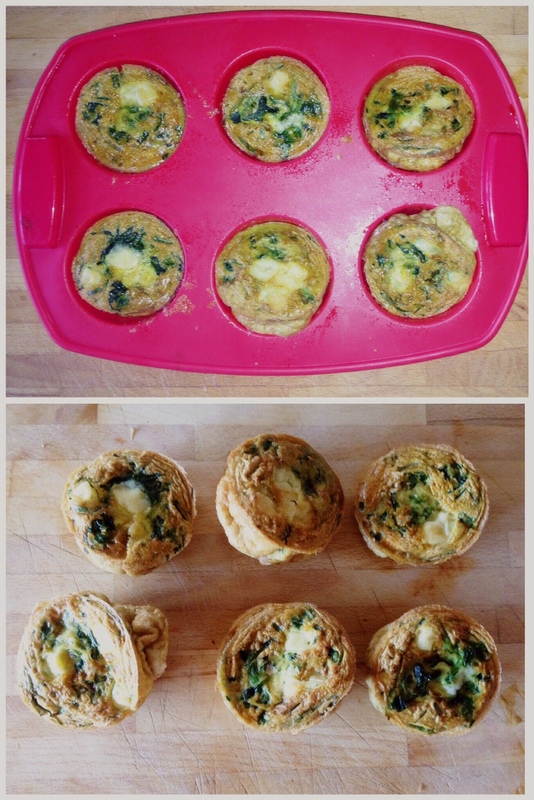 Today we need to talk about egg muffins. They are taking over my newsfeed! Everyone is talking about them, eating them and uploading pictures of their efforts onto Instagram and Pinterest. Not one to miss out on hurling myself on top of an already weighed down bandwagon I thought I’d give them a go for my lunch. These are pretty cheap to make and taste great, probably not as saintly as the regular type but, hey, life’s too short to spend eating bland food. * Preheat your oven to 180°C / 360 °F. Cook 2 clumps of frozen spinach in the microwave. While that’s doing it’s business chop up one piece of bacon and fry in a pan. Chop it up quite small – wee fingernail size is a good guide – so you have enough for each muffin. If you want to be good fry in a low-cal spray like Frylite and discard any visible fat from the meat. * While that’s cooking whisk 5 eggs in a bowl. Add salt, pepper and about 1 tsp of curry powder. Don’t be mean with the curry powder it’s not that strong once cooked. Chop some chives and whisk them in too. * Grease a muffin tray. I sprayed a silicone one with Frylite. * Chop 1/3 – 1/2 a slice of cheddar cheese or grate some of whatever cheese you have to hand. 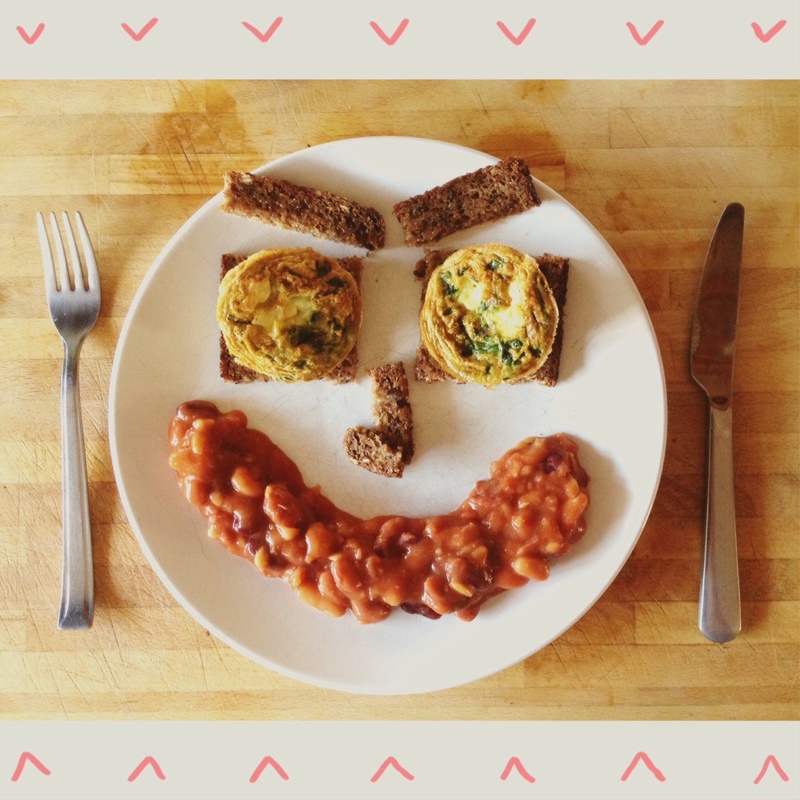 * Assembly time: Pour your egg mix evenly into each muffin hole. Don’t fill over halfway as they rise like Yorkshire puddings when they are ready. 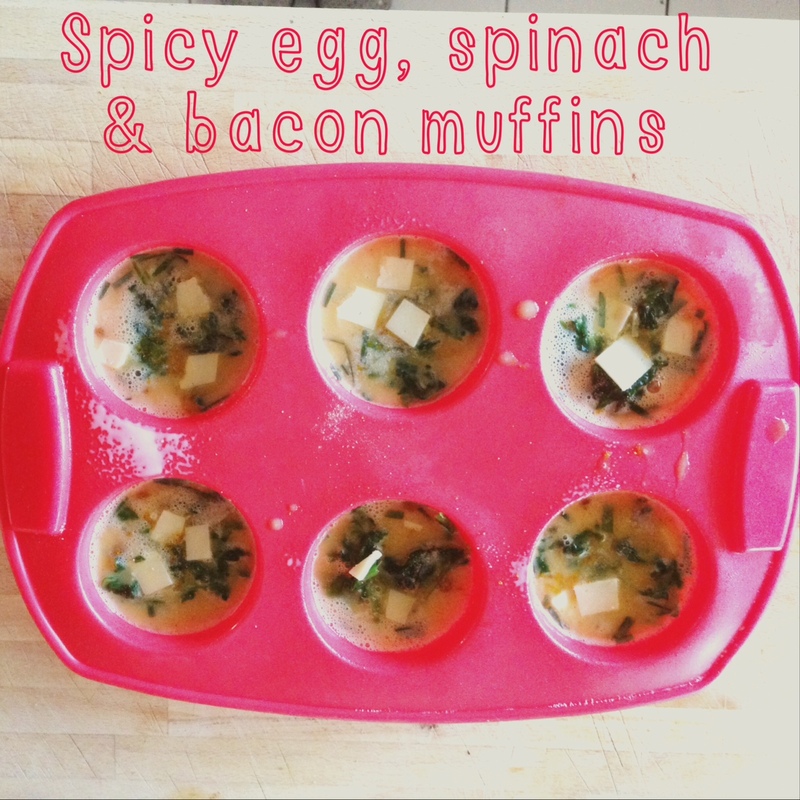 Add your cooked and drained spinach and bacon evenly to each muffin. Decorate with your cheese and add another pinch of pepper and curry powder for good luck before popping them in the oven until they are cooked through and are desperate to get out of their moulds – (about 15 mins or until a knife comes out of the middle of each one clean). Tip: If you are using a silicone mould be careful putting it in the oven. You probably know this already but I wasn’t expecting mine to go as wibbly wobbly as it did and I nearly dropped it on the floor in surprise. You have been warned! Enjoy the fruits of your labour. Once cooled they should store in the fridge for a few days. Bon Appetit!